The Kano State House of Assembly on Monday constituted a seven-man committee to investigate the authenticity of the video recording of alleged bribing taking by Gov. Abdullahi Ganduje. 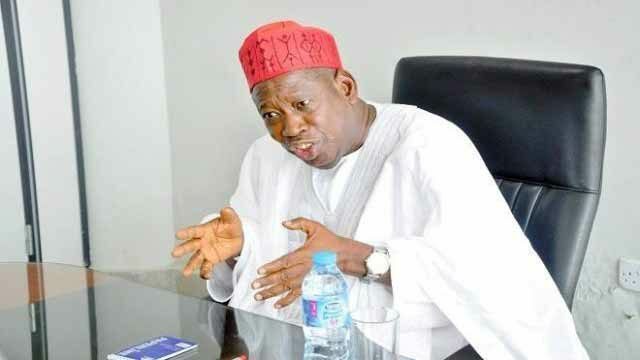 The video of Ganduje allegedly receiving bribe from a contractor was published by an online Newspaper, Daily Nigerian. The committee was constituted following a motion of urgent public importance filed by the member representing Warawa constituency, Alhaji Labaran Madari and seconded by member representing Kano Municipal constituency, Baffa Danagundi. Madari pointed out that the House has the mandate to investigate any matter in order to ensure peace and harmony in the state. Speaking during the plenary, the Majority Leader, Alhaji Baffa Babba Danagundi advised the executive arm of government to halt from filing in a case before a court of law on the alleged video clip. According to him, the state Assembly has the constitutional mandate to investigate issues like this. The matter which gained the support of the legislatures was deliberated on the floor of the house, presided over by speaker Kabiru Rurum. Speaking while ruling on the deliberation, Rurum urge the committee to investigate the matter and submit its reports within one month. The committee which is headed by Danagundi has Labaran Madari, the Chief Whip, Zubairu Massu as members. Others members of the committee are Garba Ya’u Gwarmai, Abdulaziz Garba Gafasa and Abubakar Uba Galadima, while Mujitaba Aminu would serve as the committee secretary. Pop singer, Simisola Ogunleye, a.k.a Simi has featured Adekunle Gold, Patoranking, Falz and Maleek Berry in her latest album titled 'Omo Charlie Champagne'.